let us think spring thoughts. Let us think about our President-Elect preparing to take the reins of our club. 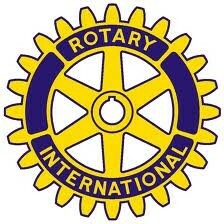 a better place through our involvement in Rotary. Let us think about opportunities to serve in new ways. Let us be thankful for the food and the friends around this table. (c) Shawn Bird. Free use within Rotary, but please credit the author and leave a note to say where and when you used it.